Not to be confused with People's Bank of China, Bank of China, National Bank of China, or Bank of Taiwan. 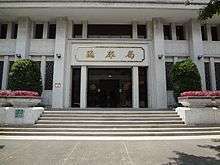 The Central Bank of the Republic of China (CBC; Chinese: 中華民國中央銀行; pinyin: Zhōnghuá Mínguó Zhōngyāng Yínháng), known in English from 1924 to 2007 as the Central Bank of China, is the central bank of the Republic of China, now commonly known as Taiwan. Its legal and common name in Chinese is literally translated as the "Central Bank". The central bank is administered under the Executive Yuan of the ROC government. Central Bank of China headquarter in Guangzhou, Guangdong (1924-1927). 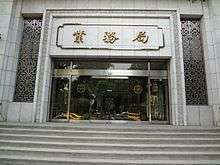 The bank was originally proposed in 1923 by Sun Yat-sen's administration in Guangzhou, in which it was established a year later under the name Central Bank of China. Following the success of the Northern Expedition, the Central Bank took over the role of central bank for China from the Bank of China in 1928, with its headquarters in Shanghai. Before 1949, it was one of China's "Big Four" national banks, along with the Bank of China, Bank of Communications, and Farmers Bank of China. 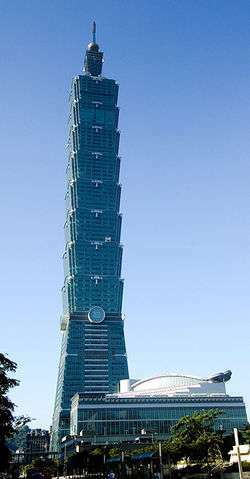 Central Bank of the Republic of China (Taiwan) headquarters in Taipei, Taiwan. 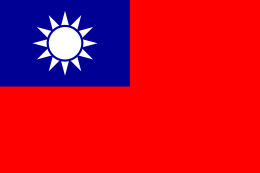 After the loss of mainland China in the Chinese Civil War by the Kuomintang (KMT) and its subsequent retreat to Taiwan in December 1949, the Central Bank of China also moved along with the government to Taiwan. Until it was re-established as central bank in 1961, the Bank of Taiwan acted as the de facto central bank in Taiwan. On 8 November 1979, the newly revised Central Bank of China Act was promulgated. The Bank of Taiwan issued the New Taiwan dollar until 2000, when the Central Bank of China finally took over the task. In 2000 the English name of the Central Bank of China was renamed Central Bank of the Republic of China (Taiwan) along with a host of other renamings under the Chen Shui-bian administration of state-owned corporations with "China" in their name, such as the Chunghwa Post. The headquarters building is accessible within walking distance north-west from Chiang Kai-shek Memorial Hall Station of the Taipei Metro. 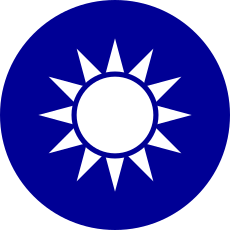 Wikimedia Commons has media related to Central Bank (Republic of China). ↑ "Central bank latest to drop 'China' label". Taipei Times. 11 Feb 2007. p. 1. ↑ "Central Bank of China changes English name". The China Post. 2007-02-11. Retrieved 2007-02-12.